Medicare Supplement insurance is also called Medigap insurance. Medicare Supplemental plans are sold by private insurance companies to help individuals fill the gaps of Medicare. Medicare Supplement policies are purchased from private insurance companies. A Medicare Supplement policy is in addition to Medicare. Medicare does not pay everything. There are “gaps” left for people to pay themselves that include deductibles, copayments, and coinsurance. There is not a maximum out-of-pocket, which means there is not a ceiling on how much a person could be responsible for. This is why people purchase Medicare Supplement insurance. Medicare Supplement insurance is secondary coverage to Medicare. Medicare is primary and pays the providers first. A Medicare supplement pays second. 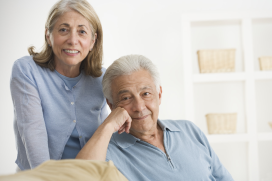 To purchase a Medicare supplement insurance policy, individuals have to be 65 or older and have Medicare Parts A and B. Some states allow individuals under the age of 65 to purchase a plan. Call Retirement Transitions to check if your state is offers supplemental insurance to individuals under the age of 65. Each specific Medicare Supplement insurance plan must follow federal and state laws. These laws are designed to protect individuals on Medicare. In most states, Medigap insurance companies can only sell you a standardized plan identified by the plan letters A-N. Standardized means that each Medicare supplemental plan must offer the exact benefits no matter which insurance company sells it. Price is the biggest difference between insurance carriers for each specific Medigap plan. Comparing Medicare Supplement insurance plans with multiple companies will save you money for the exact same coverage of benefits. Medicare Supplement insurance plans do not have networks – such as an HMO or PPO. You have the freedom to visit any provider you like for benefits. Just make sure provider accepts Original Medicare. You get the medical treatment you deserve. From the doctors you want. A Medicare Supplement insurance (Medigap) plan doesn’t limit you to a specific service area in the United States. If you’re traveling. The supplemental insurance plan travels with you. You’re covered. If you move, the plan goes with you. Researching Medicare supplemental insurance plans sets the foundation for better healthcare coverage at a lower cost. Take a look at the Medigap plan comparison chart, you’ll see what each plan pays and how much coverage each plan offers. Looking at the Medigap plans coverage comparison chart, you’ll find that Plan F provides the most comprehensive coverage while Plan A provides the least benefits. You also can see the difference between Medicare Plan G and Plan F. Plan G doesn’t cover the Medicare Part B deductible, which is $185. Select the plan that meets your healthcare needs best, and start comparing that specific plans rates from multiple insurance companies. If you need supplemental insurance guidance, speak to a Medicare supplement insurance specialist for free and receive the help you deserve. The best time to buy a Medicare Supplement policy is during Medigap open enrollment. During this period, you have 6 months to bypass medical underwriting. This means that you do not have to answer any medical questions and you receive guarantee issue rights. The 6 month period starts the first day of the month in which you’re both 65 or older and enrolled in Medicare Part B. This is a very important period not to miss, especially if you have a per-existing condition. Medicare Supplement insurance companies cannot refuse to sell you a supplemental policy based on your health problems. The supplemental insurance companies cannot charge you more for your Medicare Supplement Insurance premium during the Open Enrollment Period if you have health complications. Part D Prescription Drug coverage isn’t provided by a supplemental insurance policy. Individuals need to purchase Part D prescription drug coverage who purchase a Medicare Supplement Insurance policy. One of our dedicated license specialist can assist you in finding Part D prescription drug coverage in your area. Medigap supplemental coverage does not include prescription drugs. The biggest difference between each specific standardized plan is price. The benefits are exactly the same. Comparing Medicare Supplement Insurance Plans with multiple companies can save you a lot of money – while receiving the same benefits. Don’t let any insurance agent or insurance company tell you their Medicare supplemental rates won’t go up, because it’s not true! 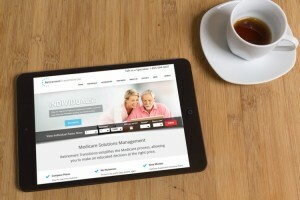 View a list of Medicare Supplement Insurance Companies Retirement Transitions is appointed with. Multiple Medicare supplement insurance companies offer household discounts. To be eligible, another person must be enrolled. Discounts for Medigap policies can save hundreds of dollars a year. Call to ask one of our supplemental specialist if discounts are available in your area. Each Medicare Supplement Insurance plan only covers one person. If you and your spouse both want coverage, you each will have to purchase separate supplemental policies. A discount may be available from insurance companies in your area. Call us to ask how much. Do not cancel any insurance plan you currently have until you know you have coverage elsewhere so there’s no lapse in coverage. Know all of your Medicare options. Compare Medigap plans and rates from multiple insurance carriers. Standardized Medicare Supplement Insurance cannot cancel your policy as long as you pay the premium. This is considered “guaranteed renewable”. Prescription Drug coverage (Part D) – you need to purchase separately from your Medigap insurance policy. Ask if you have guaranteed issue rights. There are two main ways to get your Medicare coverage: Original Medicare and Medicare Advantage Plan (Part C). A Medicare Supplemental Insurance plan is not a Medicare Advantage Plan. 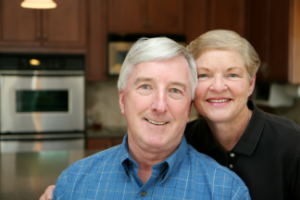 With a Medigap plan – Original Medicare pays first and the Medigap plan pays after. A Medicare Advantage Plan pays instead of Original Medicare. Medicare Advantage Plans deal more with co-pays and coinsurance instead of a higher premium. Meanwhile a supplemental plan deals more in monthly premiums and low-to-no coinsurance, co-pays, and insurance deductibles. Medicare supplement insurance will not cover co-pays, coinsurance, and insurance deductibles if you’re on a Medicare Advantage Plan. Because Original Medicare does not pay first. Individuals cannot have coverage through a Medigap plan and a Medicare Advantage Plan (Part C) at the same time. If you have coverage through Medicaid, call a specialist before considering the purchase of a Medicare Supplement plan. Generally, insurance companies cannot sell individuals on Medicaid a supplemental insurance policy.